We protect our Members with Coverage with 3 major protections. Pays up to $2 million for damages arising from professional liability and employment liability lawsuits. A Job Action Protection benefit that provides a local attorney to represent educators. LIFT America: LIFT gatherings equip and inspire educators to take Jesus into our schools—to abide, listen, and follow the voice of the Holy Spirit to extend God’s Kingdom. We encourage, equip, and empower Christian educators to effectively walk out their calling in their schools. One God eternally existent in the Father, Son and Holy Spirit. Christ, the Son of God, His virgin birth, His miracles, His vicarious atoning death for our sins, His bodily resurrection and His return. The need and reality of spiritual conversion by the Holy Spirit through the death and resurrection of Jesus Christ. The ministry of the Holy Spirit Who enables us to live a godly life. National Educators Fellowship, Inc. (NEF) was organized in 1953 by Dr. Clyde M. Narramore, a psychologist for the Los Angeles County Schools, and Benjamin S. Weiss, the principal of Metropolitan High School in Los Angeles, when they gathered 11 educators in Clyde’s home in Pasadena, California. The group was organized in response to an expressed need that more than half of the millions of children and youth attending America’s schools have no moral and spiritual training other than that which they may incidentally receive in their public school education. Educators needed to be equipped and encouraged to meet this need. Within a few months, their meetings grew to 150 educators who worshipped, shared testimonies, and grew more excited about what God was doing. Clyde began to travel and speak to encourage Christian educators around the country. From this beginning, the national organization expanded. In 1984, the name of the organization was changed to Christian Educators Association International (CEAI). In 1991 under the leadership of Forrest Turpen, CEAI successfully established the member insurance program, providing professional liability insurance and job action protection benefits for members, turning CEAI into an effective alternative to teachers’ unions, at a time when unions were embracing values more and more hostile to the Biblical worldview. This obviously met a need, as membership grew over 500% from 1991 to 2003. After Finn Laursen assumed leadership in 2003, CEAI launched several new initiatives to equip educators and transform schools, including the Daniel Project in 2010, which is raising up missional educational leaders to be “modern-day Daniels.” In 2015, CEAI launched LIFT America, which is gathering educators in cities across the country to encourage and inspire them to take Jesus onto their campuses. 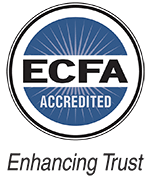 Now with David Schmus as Executive Director, CEAI looks to continue to equip Christian educators to faithfully represent Christ in an increasingly challenging cultural environment. Would you pray for us and consider joining us is this critical mission?